Post-sale assistance is one of our company’s mainstay: the privileged relationship with customers is for us a “must” even a long time after: in the event of problems our staff will be helpful to solve all as soon as possible and with the best care. In addition to the materials excellence and the design quality, our costumer gets reliability and accuracy throughout the years, because his satisfaction represents the tangible proof of the merit of our work. 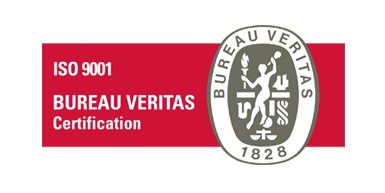 The Certification of the Quality System by Bureau Veritas Certification, compliant to the International regulation ISO 9001:2008, allows our company to have more efficent factory system, to improve constantly the quality of the product and the service we offer. This also permits us to create a competitive advantage compared to companies that do not satisfy this regulation standard.